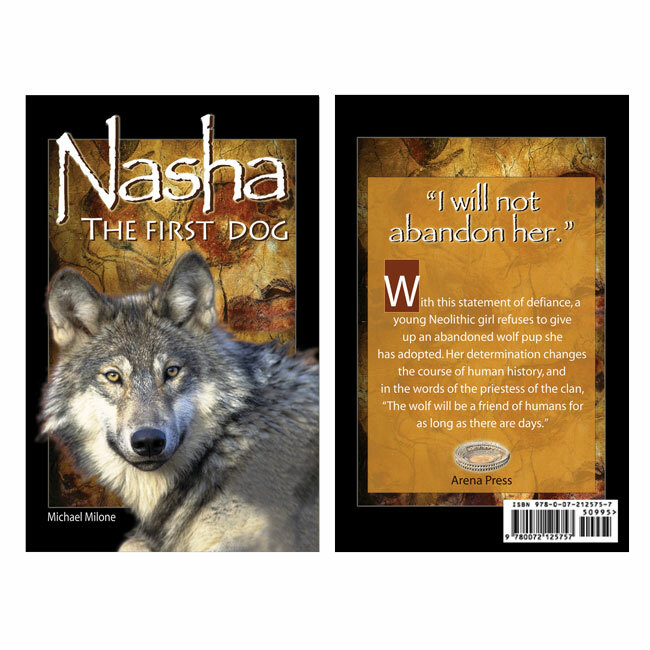 This engaging tale of a Stone Age girl named Maddia who adopts a starving wolf pup is both exciting and informative, and it is supported by our knowledge of the time period in which the story is set, approximately 15,000 years ago. In addition to being entertained, readers will learn how our ancestors' discoveries demonstrate that they possessed greater intellectual capabilities than many of us give them credit for. The story recounts one of the most important advances in human history. The domestication of the wolf to become the dog was the first step toward the agricultural revolution that occurred five thousand years later. The young wolf seems to have a magical effect on the clan, and the wolf is involved in many of the discoveries that are humanity's stepping-stones to civilization. The richness of the visual images in Nasha is extraordinary. Recognizing that young readers have been surrounded by visual media since birth, the author tells the story with a series of descriptions that serve as a background on which the imagination can paint with greater detail. The dangers that these young characters face are thrilling, yet there is little of the gratuitous violence that characterizes much of contemporary fiction. Readers will come to understand that the role of young people in primitive societies was critical because of what they do themselves and what they bring out in others. 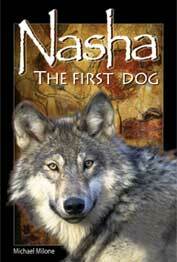 Nasha: The First Dog contains subtle messages that promote positive values. This accessible book features an intricate plot that is sure to appeal to young readers. Anyone who has ever loved a dog will have a difficult time resisting the book cover.